Keep a glass of water near because you'll want to cool off after the heat of Chilli Gold slots! Play this spicy Mexican chilli game today and win big! 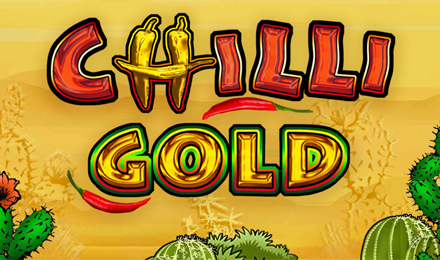 Spice up your life and see how well you can handle the heat when you play Chilli Gold slots with Vegas Spins! With 5 reels and up to 40 paylines you will be enjoying all the fun symbols of spicy Mexico while you spin to win! Play to the rhythm of old guitar sounds and put on your sombrero to experience the Red Hot Chilli wild and scatter, both stacked. Trigger the Free Spins feature by hitting six or more Red Hot Chillis, and find loads of stacked wilds on reels 2 to 5 which sub in for all symbols. Can you take the heat?